BUG OFF! All natural, herbal insect repellent. NO DEET. DON’T LEAVE HOME WITHOUT IT!!! Ticks are especially bad this year! 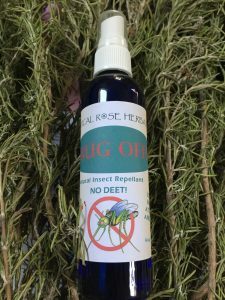 Our all-natural and POWERFULLY EFFECTIVE herbal insect repellent is a must for warding off mosquitoes, TICKS, gnats and other annoying pests. The base is witch hazel and it is scented with essential oils that are hated by insects but pleasant to humans. It can also be used on safely on pets. There is NO DEET! It works as effectively as any repellent on the market. We suggest that you keep one in your beach bag, once in your purse and one in the house. Common sense measure: There is never a guarantee that you will be 100% safe from ticks, so be sure to give yourself and your loved ones a thorough tick check every night before bed!